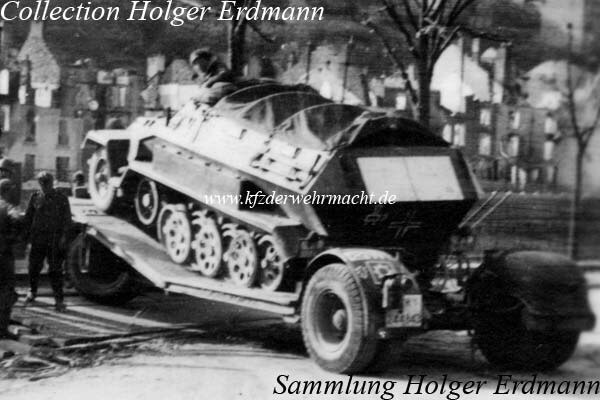 The Tiefladeanhänger für Panzerkampfwagen 10t (Sd. Ah. 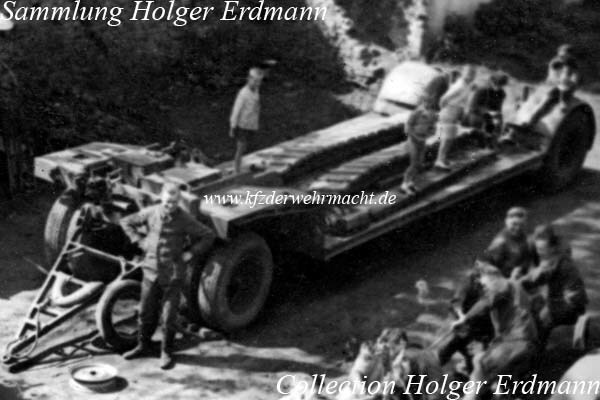 115) - a flat bed trailer for armoured vegicles - was used for the transportation of armoured vehicles up to a weight of 10 tons. It was towed by a 9 tons lorry of the brands Büssing-NAG and FAUN or by a m. Zgkw. 8t Sd. Kfz. 7. The Sd. Ah. 115 was officially introduced in April 1938. For the loading process, the rear axle had to be uncoupled. The trailer was used as loading ramp for the 9 tons lorries, too.